As it crisscrosses the valley, the car gathers data about pollution trends, sometimes on the green line route, sometimes along the red line. New research led by a University of Utah atmospheric scientist shows how the electric-powered trains have become a useful scientific tool. The findings, published in the journal Atmospheric Environment, suggest Utah’s experiment with the TRAX monitors might be valuable to researchers elsewhere. With a new way to look at air quality across the train’s routes, researchers can pinpoint pollution sources and trends, said Logan Mitchell, who led the study. “You can show it to someone and see, ‘Oh, look! That’s what’s going on right there that’s causing ozone to go down and NO2 [nitrogen dioxide] to go up and, oh, it’s because of this emissions source’,” he said. One insight from the data is how rail yards are a surprisingly big pollution source. Also, dust storms can pose health risks to kids playing outdoors on the western side of the valley — but not on the eastern side. Mitchell said the official pollution monitor in the Salt Lake Valley is located downtown at Hawthorne Elementary, and it takes pollution and weather measurements just at that site. But the monitor-equipped TRAX trains have been gathering lots of data across the valley for more than three years. That’s given researchers important details about the valley’s pollution patterns that they couldn’t get from the Hawthorne model. State lawmakers this year pledged to fund $100,000 annually to support the TRAX train research. Commuter Carrie Kirkpatrick said she hadn’t known about the air monitors until she was asked about them by a reporter. But she was happy to hear the issue is being studied as Salt Lake’s air quality has been on her mind since her family moved to the area last year. Carrie Kirkpatrick said she uses transit and rides a bike to reduce her contribution to the Salt Lake Valley's poor air quality. She favors research that leads to pollution solutions. 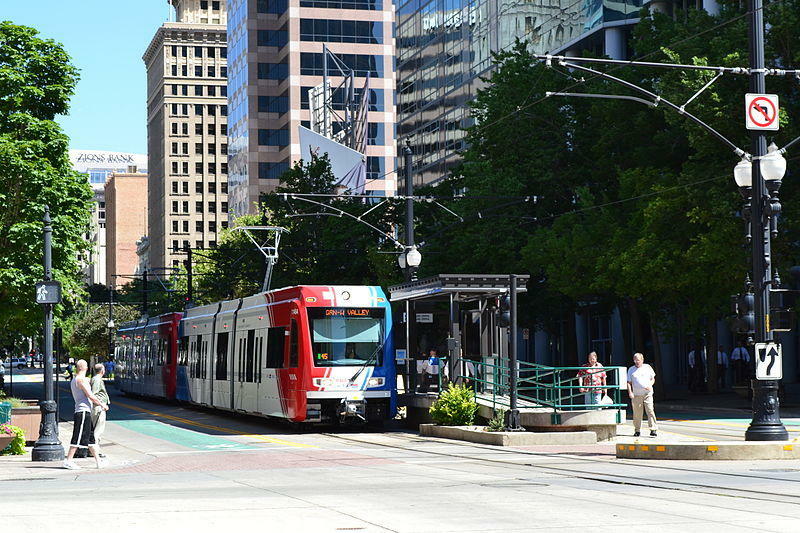 That’s one of the reasons she rides public transportation to work, she said after boarding the TRAX red-line train at the University Medical Center on the University of Utah campus. 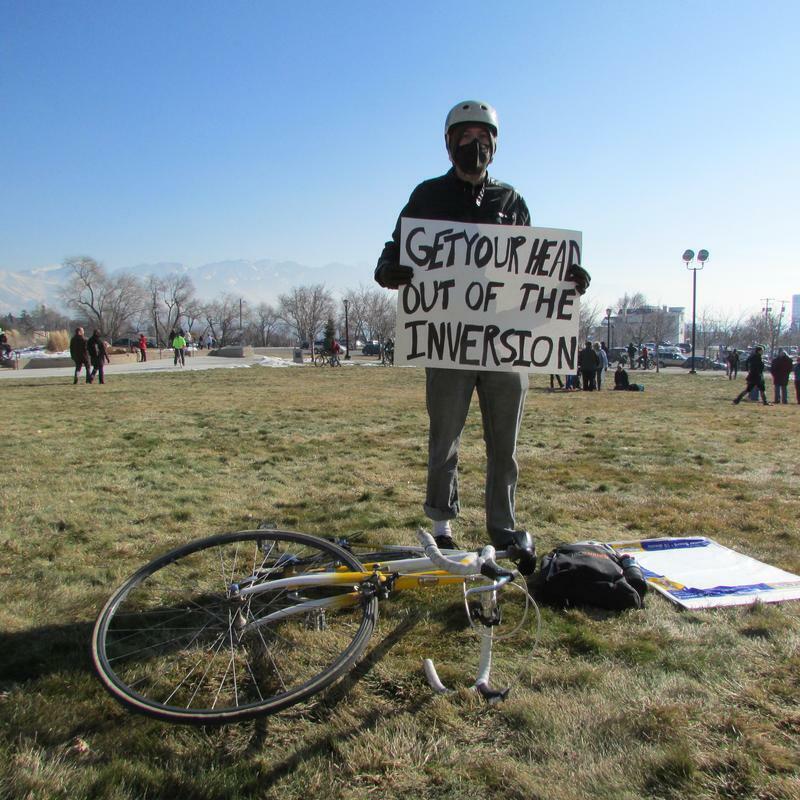 Ashley Miller, executive director of the health advocacy group Breathe Utah, hopes so too. She said the data provides a foundation to build sound policy, but more research is needed to solve a complicated problem. The Environmental Protection Agency just announced its plan to roll back vehicle emissions standards. That could be cause for concern in Mountain West communities with poor air quality.